The California Milk Processor Board, the creator of GOT MILK?, has release a cause-related marketing promotion via the sale of limited edition milk glasses to benefit California community-based organizations. An extension of GOT MILK?’s latest campaign, ‘Science of Imitation Milk,’ the glasses come two in a set: the real milk glass showing the very short list of ingredients that can be found in dairy milk (milk and vitamin D3) in contrast to the “imitation milk” glass which has a multitude of hard-to-pronounce ingredients. One hundred percent of the $15 price tag for the glasses will go to the benefitting charities with a goal to raise $50,000 overall. We’re intrigued by this use of cause-related marketing to move a product clearly designed to hammer home a key brand marketing message. Although the partner nonprofit organizations align well with the milk brand (they all support healthy lifestyle programs for kids and families), they are easily lost in this particular promotion. 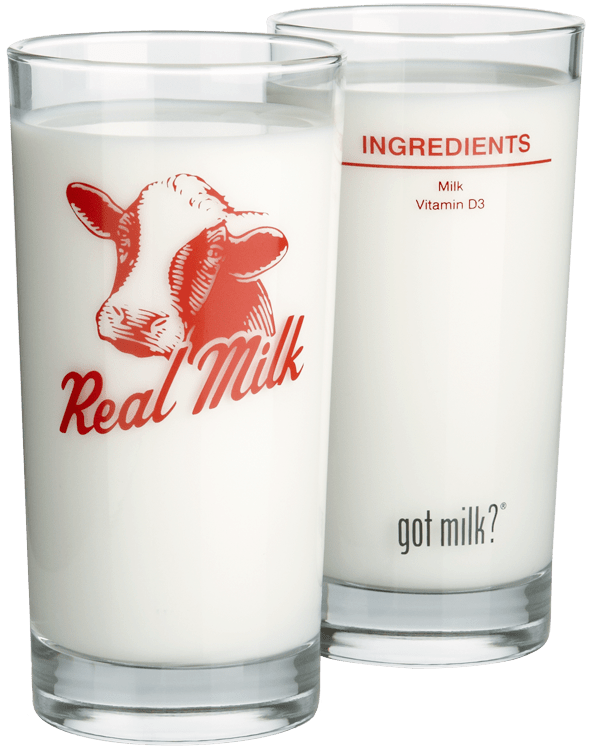 What if the limited edition glasses each featured a different nonprofit that chooses ‘real’ milk? How would that change this campaign? Using a 100%-of-proceeds formula does allow for clean and easy-to-understand campaign communications, always a benefit in cause marketing efforts. oh yeah, i just remembered the reason why milk is sold in opaque containers too. it is to block out light because it will destroy the riboflavin. why the hell are these people dissing on b2 when they go out of their way to make sure it is protected in milk and it is something good for you? this is quite the marketing scheme. it just screams “we thrive on your ignorance and our nonsensical misinformation”. way to go, dairy industry’s marketing team. you fail forever.